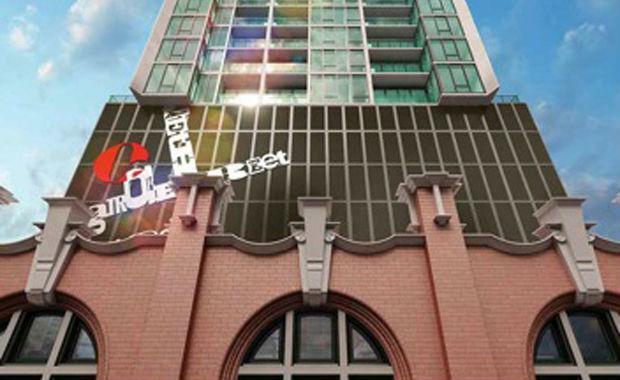 The $120 million glass tower will stand 144 metres high, sitting above the existing red brick heritage listed façade. Designed by doig.architecture, Melbourne One comprises 477, two and three bedroom apartments, with penthouses on levels 45 to 47 as well as a retail hub of five tenancies. The building was used in the early 60’s by REIDY’S a refrigeration engineering company that specialized in the assembly and production of fridges for domestic use. Prior to REIDYS this was an automotive car part maker for Coach Builders Ironmongery in the early 1900s. Melbourne One will also feature a concierge, a gymnasium and indoor heated swimming pool. Construction completion is expected by mid-2016.